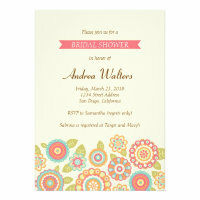 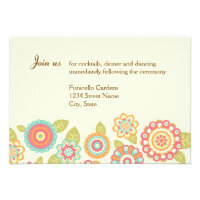 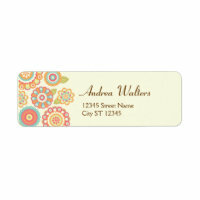 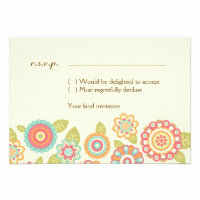 This invitation set features original flower graphics in sweet pastel colors. 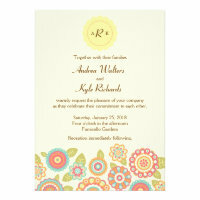 The quirky retro feel makes this design perfect for fun, whimsical vintagey weddings. 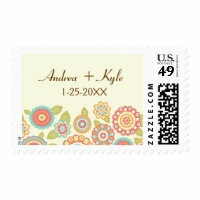 As always, everything is fully customizable. 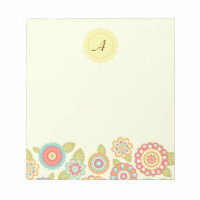 The artwork is a Poptastic Bride original and is available from our satellite store Funky Patterns.